"I'll be back." Arnold Schwarzenegger first said those iconic words more than 30 years ago, and they seem to hold true with every political event. The bodybuilder/businessman/actor/politician was seen at the Ronald Reagan Presidential Library in Simi Valley, California on Wednesday during the second Republican presidential debate. It may have come as an unexpected cameo, because these events aren't the typical stomping grounds for Hollywood elite. So why was Schwarzenegger at the debate? As a Californian, I'm actually not that surprised that Schwarzenegger showed up. After all, he was once governor of the Golden State. Yes, we were the ones who elected the Governator, and he ran our affairs for two terms, from 2003 to 2011. It's a chapter we just can't escape — we're still reeling from mishaps that happened under the pro-business Republican's watch. He ended his tenure with a 22 percent approval rating. 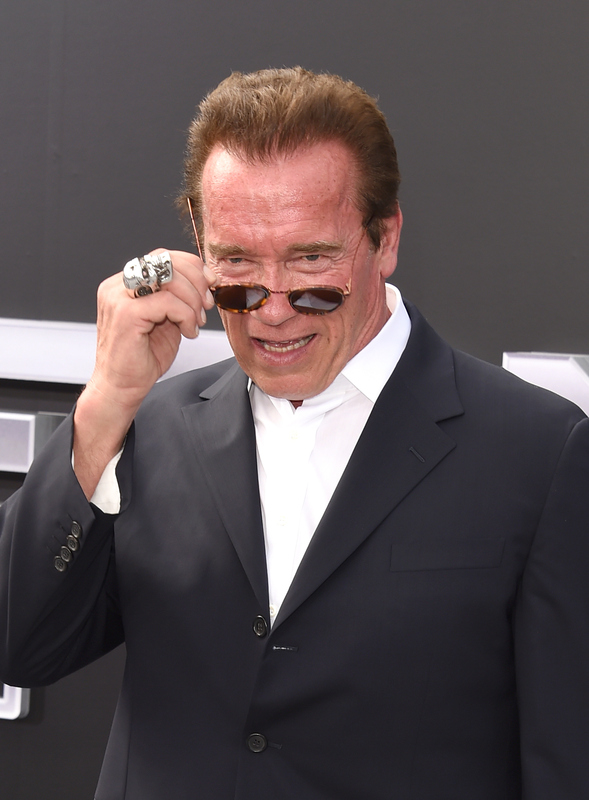 Schwarzenegger has long been an active Republican, which is another reason he'd show up at the televised debate. He's been a prominent member of the party, and spoke at the 2004 Republican National Convention. Naturally, he'd want to size up the party's presidential prospects in his own home state. But what makes Schwarzenegger's appearance even more biting is the potential dig at Trump. On Monday, NBC announced that the actor would replace Trump as host of Celebrity Apprentice — a gig the business mogul lost after his controversial remarks about Mexican immigrants. The Republican frontrunner has yet to comment on his understudy. If it means anything, know that according to TMZ, Schwarzenegger was already scheduled to be at the debate before the announcement, so the appearance wasn't intended to be a direct dig. Still, it's nice to see Arnold again. Hasta la vista never, baby.